EAG’s failure analysis offering is one of the broadest multi-disciplinary services available, including both electrical testing and materials characterization. The company uses the latest high-resolution imaging and electrical localization tools, and employs a holistic approach that is customized for each customer situation. These capabilities are increasingly important given the growing complexity of electronics systems, rapid pace of miniaturization, special characteristics of advanced technology processes, intermittent nature of system malfunctions, and challenges associated with the exotic materials used to design and manufacture today’s components. 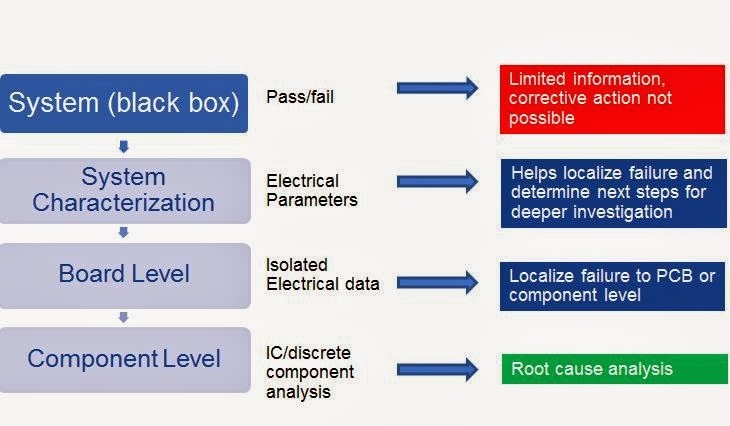 The demand for electronic system failure analysis is growing as processors and system-on-chip (SoC) devices have reached billions of transistors, process technology has advanced to 28-nanometer nodes and below, more complex materials are now used being used in electronic systems at the board, IC package and die level and the cost of system failure has risen. For instance, the average cost of an unplanned data center outage at a telecom service provider or e-Commerce company is estimated to have reached $11,000 per minute (Ponemon Institute, “Calculating the Cost of Data Center Outages,” 2011). Approximately 55 percent of all small- to medium-sized business data disasters are caused by hardware failure (Quorum Q1 2013 Disaster Recover Report), which are also responsible for an estimated 72 percent of all network downtime (“Understanding Network Failures in Data Centers: Measurement, Analysis and Implications,” Microsoft and University of Toronto). Failures also contribute to costly product recalls, with an estimated 15 percent of all consumer electronic products failing over the first three years. Nearly 59 million products were recalled during 2012 by the Consumer Product Safety Commission (CPSC). · Detection of issues during prototype and pre-production to correct product issues early in the development cycle at a reduced cost. For more information, please visit http://www.eag.com/mte/electronics-failure-analysis.html or contact info.mte@eag.com.